That leaves us with the watch, then. 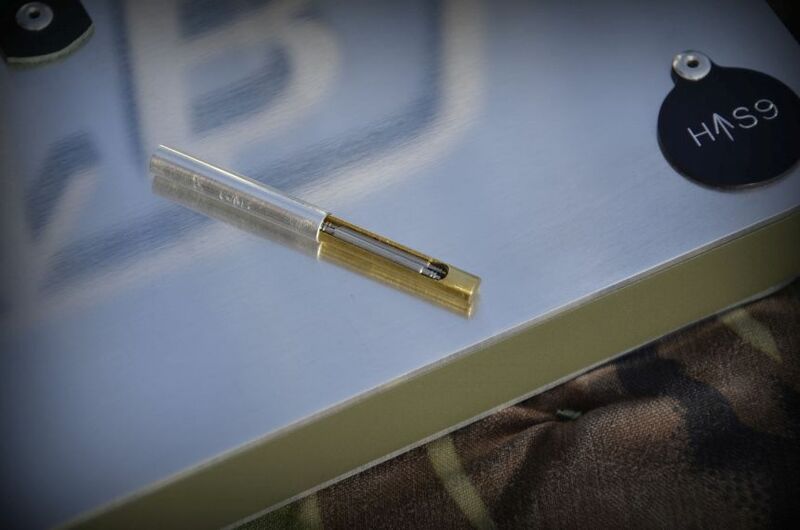 While Evans himself does not do the assembly (he would rather leave that to the professionals), he did confirm that assembly and final QA is completed in the UK, with components coming in from across Europe. 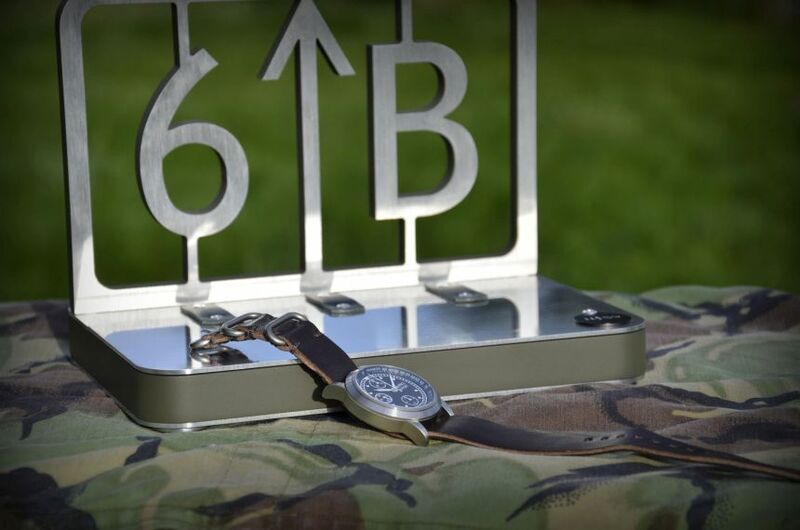 The 6B MK II claims military inspiration, that is something I have a hard time picking up (then again, I am no expert on military chronographs). That said, this looks like a very cleanly laid out piece, with legibility kept sharp with the contrast of white on the black dial. 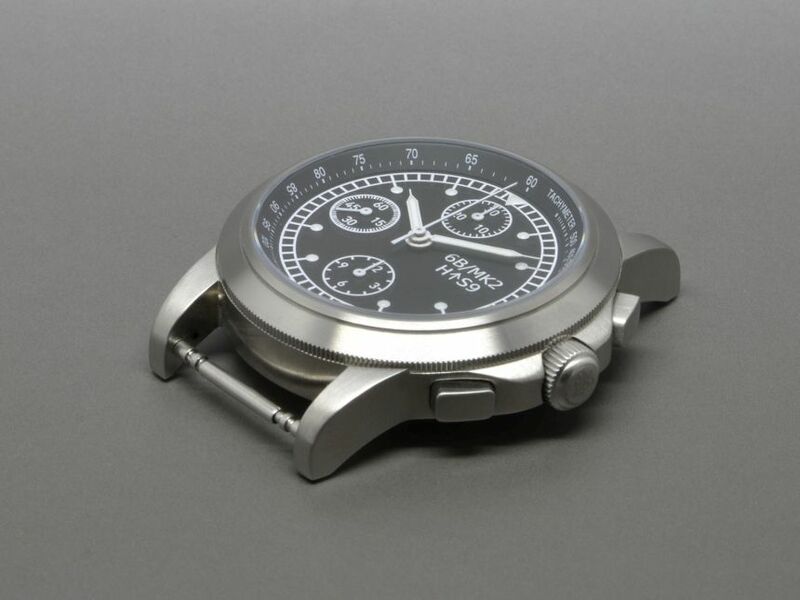 Evans states that the direct inspiration for the MK II comes from “admiring old mil watches over the years.” Those watches ended up inspiring design cues we now see, with a deliberate focus on creating a simple style that is easy to read. I think that is a mark that was hit spot on – there really does not look to be anything extraneous, and the finishes look to keep glare down. The handset seems proportional (both to the dial and each other), though I do wonder if they couldn’t be slightly widened. I even like how the brand and model information was included over at 3 o’clock. 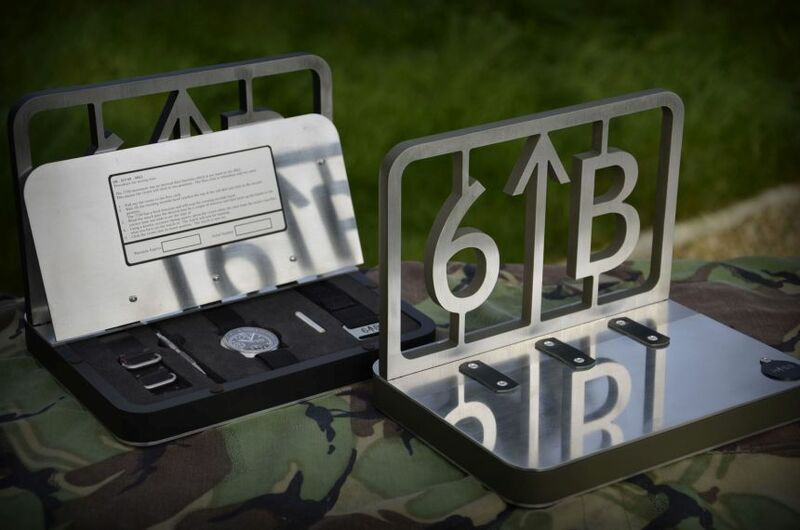 It is in keeping with the sort of engraving you would see on the back of a British mil-spec watch, and looks completely in place. The 6B MK II is powered by a Valjoux 7750, so you can rest assured that this should be a rather accurate (and serviceable) chronograph. The 20mm lugs on the stainless steel case (which itself is just a hair under 41mm) should easily house any manner of straps. 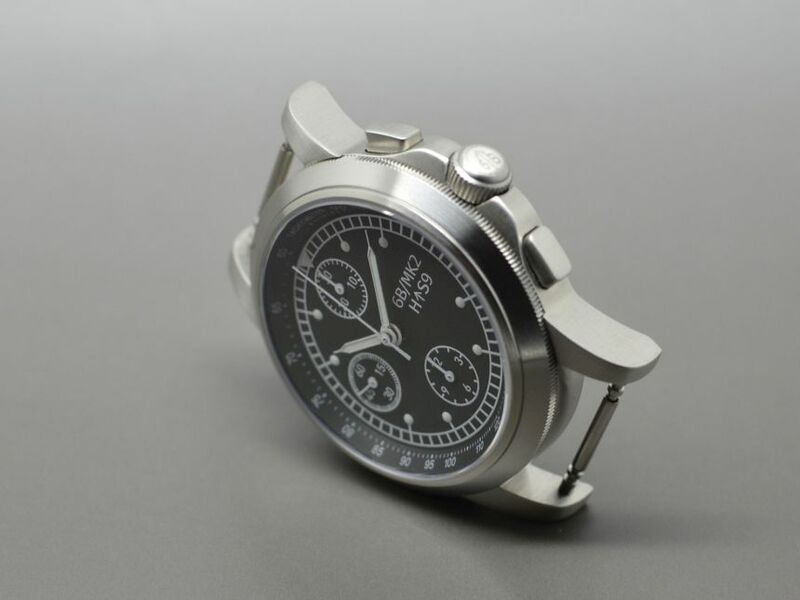 When it comes to those, you can of course get one custom made to your wrist size by Evans; the package will include one nylon and one leather NATO-style strap, along with a Bergeon 6765s spring bar removal tool. The whole kit is packed up in a box that has a lot of Evans’ sweat and blood poured into, as he’s doing the work to clean, polish, and assemble the bits and bobs in his workshop. 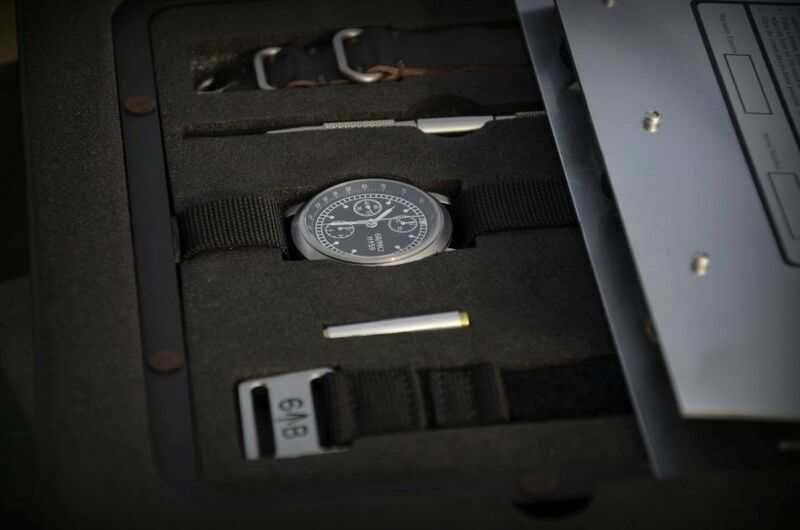 While this could perhaps be considered unnecessary (how many of you have your watch boxes still kicking around? ), I rather like it. As with my earlier comments, Evans is playing to his strengths and picking up some new capabilities. Sure, he could have gone the easy route and gotten a Pelican-style case with some die-cut foam inside. Instead, he created this box design that, to my way of thinking, really shows an attention to detail (and creativity to boot). If I could make one design suggestion, it would be: A simple thing, perhaps widen the hands. 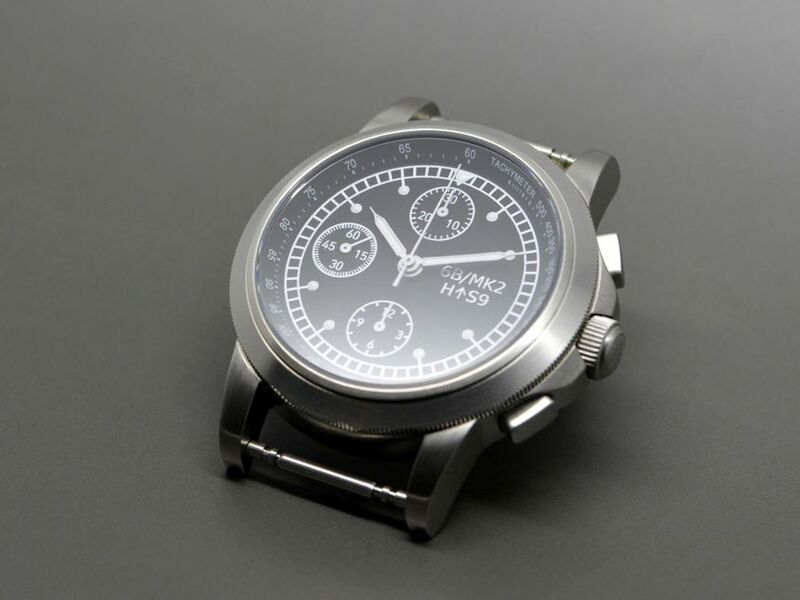 Thinking with a wider scope, I’d like to see MK III perhaps take on a simpler pilots watch, perhaps with a GMT complication. What spoke to me the most about this watch: The clean and simple design, After that, the nutty watch box Evans came up with!